Guess how we’re spending our day off today? Yup. Making more spiders and reading more spider books. I guess you could say it’s the ultimate compliment to my “class” yesterday. On that subject, did you know that “Little Miss Muffet” was a real person? Her father, Thomas Muffet, an spider enthusiast, fed her mashed spiders whenever she had a cold. Anyway. That’s what happening in our household today. Later? I vacuum up googly eyes for hours. 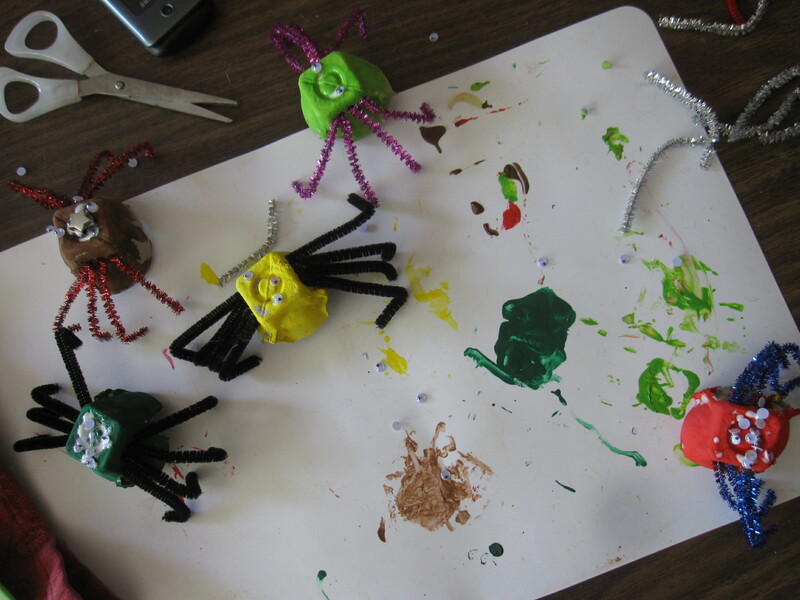 This entry was posted in Books, childcare and tagged activities for three-year-olds, little miss muffet, spider crafts for kids, stay at home moms on April 23, 2013 by thumbstumbler.